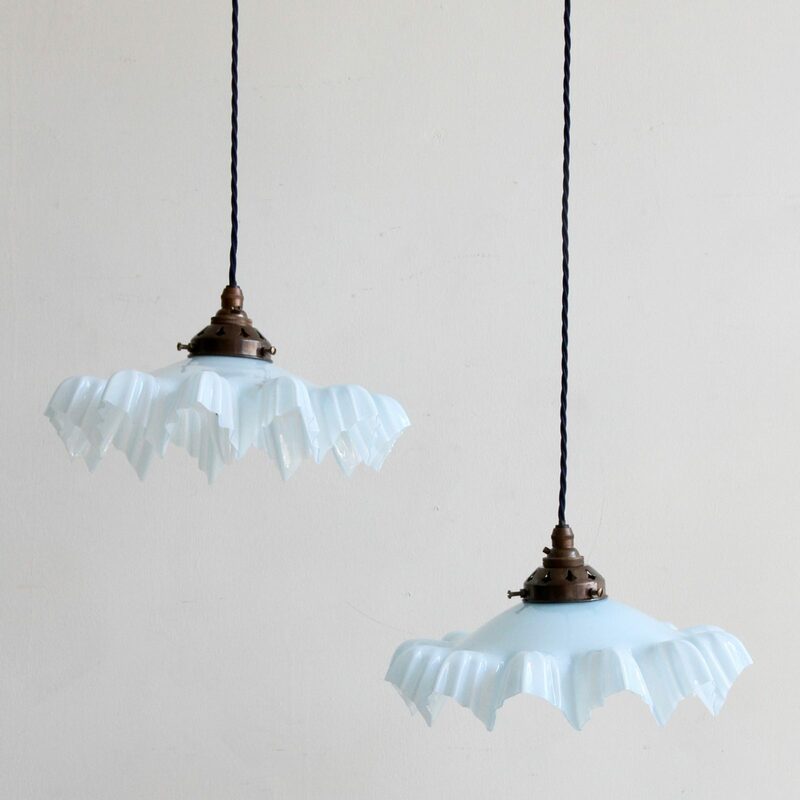 Two French pale blue glass shades with a frilled edge. Rewired with antique brass finish fittings and complimentary blue braided flex the shades can be sold as a pair or separately. Priced separately.